Lovely Village Builders classic on a quiet culdesac in the highly desired active adult community of Heritage Grand, within walking distance of the clubhouse, pool, etc. NO REAR NEIGHBORS with lovely features such as brand new 2018 carpet, high ceilings, crown moulding, a study w/double French doors, Stainless Steel appliances, handsome cabinetry, Granite counter tops, lg pantry,Butlers Pantry, built-ins & Plantation Shutters. Covered front porch, covered back patio and side patio. Additionally there is a whole home water softener, an under-sink RO filter in the kitchen & sprinkler system. The master bath has a jetted tub, over-sized shower, huge master closet and lg linen closet. Great storage! Many 36" wide doors. High ceilings, art niches & great lighting. Mailbox just steps away. Paved walking paths & green spaces. The Club House has many wonderful amenities such as a pool, exercise room and dining area as well as several planned events daily. Make sure to stop by for a tour! Directions:From Grand Parkway, 99, Head East on Cinco Ranch Blvd. Turn Left onto Heritage Grand Lane. Right onto Heritage Grand Circle. Right onto Marsden Park Ln. Left on Valley Bluff, Left onto Derbybrook Ct. Home will be on the right in the cul-de-sac. SchoolsClick map icons below to view information for schools near 25106 Derbybrook Ct Katy, TX 77494. Home for sale at 25106 Derbybrook Ct Katy, TX 77494. Description: The home at 25106 Derbybrook Ct Katy, TX 77494 with the MLS Number 87598160 is currently listed at $315,000 and has been on the Katy market for 140 days. 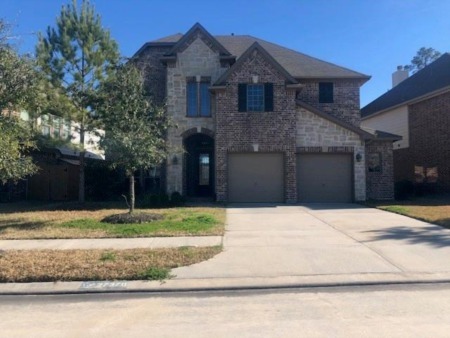 You are viewing the MLS property details of the home for sale at 25106 Derbybrook Ct Katy, TX 77494, which is located in the Heritage Grand Cinco Ranch subdivision, includes 2 bedrooms and 2 bathrooms, and has approximately 2312 sq.ft. of living area.